What is the real nature of Hamas? How ‘Islamic’ are they? What personalities lie beneath the black and green uniforms? Why did Israelencourage its development? Palestinian-born Zaki Chehab, a leading journalist, draws on his unique insider sources to offer completely new insights into this radical movement. Mr. Chehab has reported on the Middle East for local and Western media (The Guardian, Channel 4 News, BBC, The Newstatesman) for 25 years. 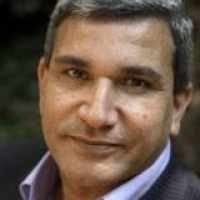 He is London Bureau Chief for Al-Hayat and Political Editor of the Arabic TV Channel LBC, and the author of ‘Iraq Ablaze’ (2006) and ‘Inside Hamas’ (2007). Zaki addressed a Chatham House event on Hamas 2nd May 2007. This talk has been re-scheduled from the original date, 26th November, when Zaki Chehab had to attend the Annapolis Conference at short notice.